It's no secret that Samsung is looking into the possibility of canning the 3.5mm headphone port from its smartphone range. However, we all assumed the next flagship Galaxy S or Galaxy Note handset would be the first to forgo the audio port. But that may not be the case, according to a new report around the upcoming Galaxy A8s, which will launch in the next few weeks. The Samsung Galaxy A8s, rumoured to launch only in China during its initial run, is a mid-range handset that looks set to tout a number of features that aren't even available in the flagship, top-of-the-line Galaxy S and Galaxy Note series. This is by design. In a bid to combat intensifying competition from the likes of Huawei and Xiaomi, Samsung has decided not to always prioritise its pricier flagship handsets when it comes to the latest and greatest features. President of Samsung's mobile division DJ Koh, who is not actually a DJ, said: "In the past, I brought the new technology and differentiation to the flagship model and then moved to the mid-end. But I have changed my strategy from this year to bring technology and differentiation points starting from the mid-end." 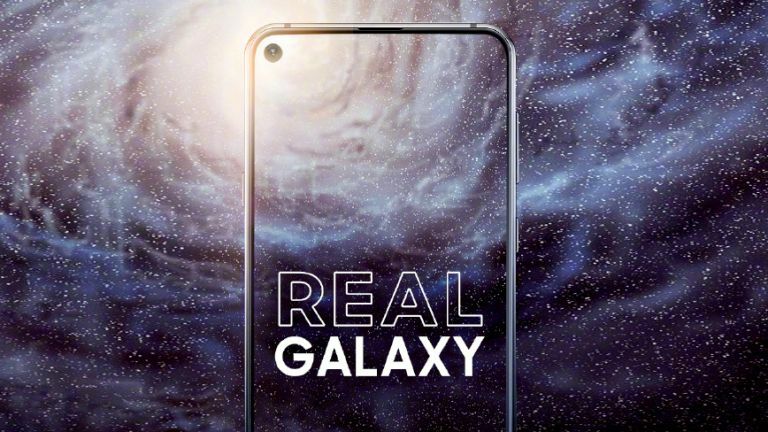 As such, the Galaxy A8s will be the first Samsung-branded handset to boast its all-new Infinity-O display design, so-called because of the shape of the cut-out in the top left-hand corner of the screen used to house the camera lens. This avoids the need for a notch, a curvaceous cut-out at the top of the display like those present on the iPhone XS, OnePlus 6T and Huawei Mate 20 Pro. The speaker grill, proximity and ambient light sensors housed in the bezel on other Samsung handsets are squeezed into the notch or embedded behind the display in Infinity-O style smartphones. As well as being the first Samsung handset to ship with an Infinity-O display, the Galaxy A8s looks set to also be the first to ditch the 3.5mm headphone port. Following the widespread outcry at the removal of the audio port from the iPhone 7 and iPhone 7 Plus back in September 2016, an ever-increasing number of manufacturers have removed the 3.5mm port. Most recently OnePlus opted to ditch the port in order to increase the size of the battery cell inside the handset without increasing the physical footprint of the handset. Samsung is believed to be considering a similar tradeoff with its upcoming device. Elsewhere, the Galaxy A8s is widely-tipped to rock a Qualcomm Snapdragon 710, coupled with 6GB of RAM and 128GB of internal memory. However, the latter can be expanded via microSD card. Samsung is expected to favour a 3,500mAh battery to keep the handset powered throughout the day. On the front of the Galaxy A8s, expect to see 6.4-inch OLED display with no curves insight – a ploy to keep the cost of the handset down compared with the pricier Galaxy S9 and Galaxy S9 Plus. Unlike the Galaxy A9, the Samsung Galaxy A8s will not ship with a quadruple camera set-up on the back of the handset. It will purportedly feature a triple system like the one seen on the Galaxy A7, which has a LED unit below the sensors.